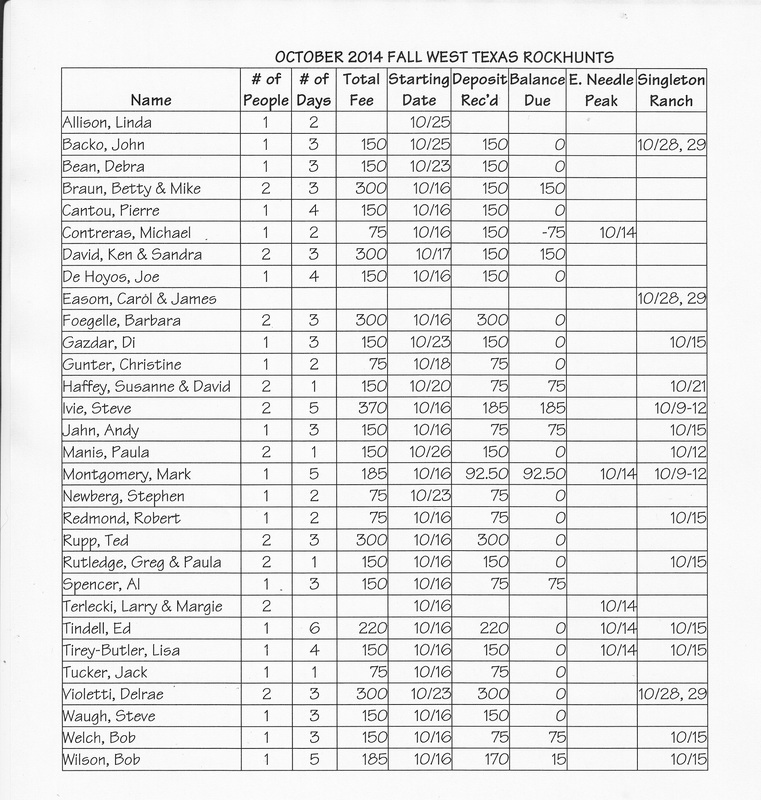 This is the updated list for Walker Ranch and other rockhunts as of today, 9/19/14. Please verify that your information is correct, and let me know if it isn’t. This table only contains people that are going to the Walkier. If you’re just signed up for the other rockhunts, where no deposit is required, you won’t be on this list. 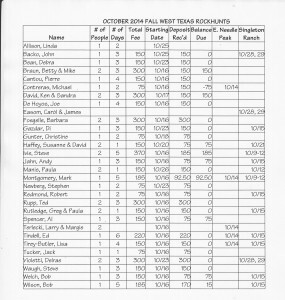 I’ve added one more hunt: Ritchie Ranch on Wednesday, 10/8. If you’re interested in that, let me know. There’s more room on ALL the hunts, so feel free to sign up now! I’ll send another update next week.